Recreational Vehicles | Special Feature | Valuable Articles - Appraisals | Webinars | TRIVIA! Easy, convenient jewelry coverage to protect diamond and engagement rings, watches and other jewelry treasures. Designed for independently operated or franchised automotive service and repair business. Are You Offering Specialty RV Insurance? This year is proving to be another strong year for the RV Industry. According to the Recreation Vehicle Industry Association (RVIA), shipments of new RVs will reach 381,000 in 2016, up 2% over 2015. "The industry has recovered from the recession, and we're looking forward to sustained growth into the future," said RVIA's president, Frank Hugelmeyer. There is not a 'typical' persona of an RV owner. Some are young families starting out with a towable unit and camping on the weekends. Some are 'empty nesters' who enjoy vacations driving cross country to visit our beautiful National Parks. Still others have decided to take to the road and live full-time in their RV while experiencing new places and new people. Some have found they can operate a business while traveling in their RV and not be tied to a physical office. Today's RVs range from basic pop-up campers to very sophisticated vehicles loaded with electronic components and high end finishes, such as granite countertops and marble flooring. Most professional bus conversions are highly customized and unique. Are you offering specialty RV insurance to your clients who come to you to protect their RV? Are you able to insure high value units? Can you insure RVs over 32' in length? Will your carrier insure a Professional Bus conversion? 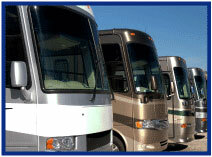 RVs can represent a major financial investment for your client. National Interstate's Specialty RV policy allows you to offer protection designed with RVs and the RV lifestyle in mind. Cruise over to Big "I" Markets and click on Recreational Vehicles - (Personal or Commerical) to learn more! We realize that protecting the future of your agency is a major priority. You trust us to represent your interests at the highest political level and as your association we also want to provide you with the security of knowing you are getting the best overall E&O value in the marketplace-not just a policy, but a comprehensive program. The Big "I" Professional Liability program offers just that, with comprehensive risk management resources and coverage from industry leader Swiss Re Corporate Solutions. Visit our contact page today to locate your state program manager and click the green "Get E&O Premium Estimate" button to begin a quick and easy process to connect with your state association and learn more about how to join our program. 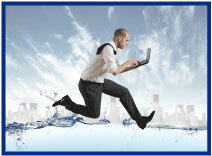 Learn more about the Big "I" Professional Liability program at www.iiaba.net/EO. Already a policyholder? Take advantage of exclusive information and resources available from our at Risk Management Web Site E&O Happens. Valuable Articles - Schedule or Blanket? A few weeks ago a neighbor was having a yard sale and among the items were four bins of Beanie Babies. I remembered hearing about a Princess Diana Beanie Baby that sold for over $90,000 and so I proceeded to look up the more valuable ones. While I read off the list of the top ten, she was thrilled to discover she had four of them with a combined value ranging from $2,300 to $4,100, depending on the condition. These had the tags and looked pretty pristine. Suddenly it occurred to me I could have bought all four bins for about $100 and sold the more valuable ones. This lack of business acumen might explain why I'm not a rich, real estate mogul. Finding valuable items for a comparatively low price at yard sales is rare, but they do happen. The really rare finds happen infrequent enough to warrant a news item when discovered. 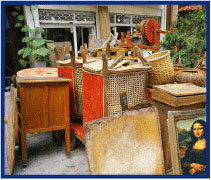 Smaller finds worth a few hundred or thousands of dollars such as my missed opportunity, are more frequent. Sadly, these sellers just didn't know what they had. Knowing what something is worth applies to insurance as well and many articles and advice columns on family heirlooms and antiques commonly refer to "for insurance purposes" as a reason to spend money to get an item appraised. The reason is of course to get them scheduled if they are worth a lot and put the rest under a blanket. They also recommend getting them appraised again on occasion. Covering these valuables at the right amount requires expertise in the field, which is exactly what you can expect when working with Big "I" Markets to access Crown Coverage's Valuable Articles markets (personal & commercial) written on AXA Insurance Company paper. The Stand-alone Valuable Articles Program - [Commercial or Personal] can be found again on www.bigimarkets.com and is available in all states. A recent trend among insurance companies is NOT to require a signed and dated application to bind coverage. Big "I" Professional Liability's risk management team is hosting a panel discussion that will tackle risks associated with this trend. Join us for a FREE 30-minute Big "I" member-exclusive webinar on August 17th at 2:00 EDT: To App, or Not to App? That is the Question. Register today for To App, or Not to App? That is the Question. Give us half an hour and we'll give you the rundown on the risks of this emerging practice! August 23. "Fixing Commercial Lines Coverage Gaps" Through scores of real-life claims examples and court cases, this program examines common coverage gaps found in many commercial lines policies and addresses the remedies for such gaps in the form of insurance products or risk management techniques CE credit available for attendees in AZ, CT, ID, MI, NJ, NY, ND, OR, WA, WY. Click here to learn more and to register. August 30. "New Overtime Ruling - Decisions to be Made" The ruling has been made and it's time to focus on being compliant. Join veteran employment lawyer and agency consultant Don Phin to learn the basics of the regulations, traps created by "white collar" exemptions, making the decision on a raise or changing classification, how omissions' and bonus affect the minimum salary threshold and more. Click here to learn more and register. September 12. "First Monday LIVE!" is a free monthly webcast hosted by the VU's own Bill Wilson and guests on the first Monday of the month to discuss the wide world of insurance from seemingly non-insurance topics. Each 30-minute webisode covers "what's going on" in the news and the implications. The August broadcast is in development as subject matter is explored. Click here to learn more and register and here to access the recordings. 1. In the movie RV, the main character is heading towards a city that should be very familiar to him from another role. Name the city. 2. On this date (8/9) in 1944, this furry fire prevention "spokesman" debuted. 3. What is the most popular flavor of ice cream? Between El Niño and La Niña, which is warmer? Congratulations to our agent in Ohio on a performance bond sale of $20,847 in premium!